First-Aid-Product.com: Severe Winter Readiness! Get Your Gear On! From Blizzards to Blackouts, From Mudslides to Extreme Cold; We've got you covered! Severe Winter Readiness! Get Your Gear On! From Blizzards to Blackouts; We've got you covered! As cold slowly seeps into your bones, so does a winter storm sneak up to wreak havoc. While whiteouts, blizzards, and ice storms are obvious threats, the dangerously low temperatures, long snowfalls, and rains may not appear as deadly as they can be. As Weather Ready Ambassadors, we remind you that the National Weather Service refers to winter storms as the “Deceptive Killers” because most deaths are indirectly related to the storm. For instance, people die in traffic accidents on icy roads and of hypothermia from prolonged exposure to cold. It is important to be prepared for winter weather before it strikes. This year meteorologists are predicting above normal precipitation levels for most of the country, except for the Southeast, southern California, the nation’s midsection, and parts of Alaska and Hawaii, where normal or below normal precipitation amounts are expected. This winter, metorologists also expect to see above normal temperatures almost everywhere in the United States, except in the Southwest, where it will most likely be colder-than-normal this Winter. It’s still going to be wintery, of course, but it won’t be an ordinaryly frigid year. The milder than normal forecast is due to the expected arrival of a weak El Niño, which will prevent cold air masses from moving in the North. Despite a decrease in solar activity, meteorologists predict that the other factors that contribute to winter weather will keep temperatures above normal. From California to Kalamazoo, from Portland to Portland (That can be a long distance - there are 14 cities named Portland in the US, with two being separated by 3,186 miles!) we have what you need to weather your own type of winter storms. Seasons come and go, but weather preparedness is needed year-round! You may need a swimsuit and sunscreen in the summer, but what do you need for those cold winter days and nights? The winter season seems to be most unpredictable when it comes to its weather – being prepared for the unexpected is key, so that you don’t find yourself in the midst of a storm without the supplies to get you through it! 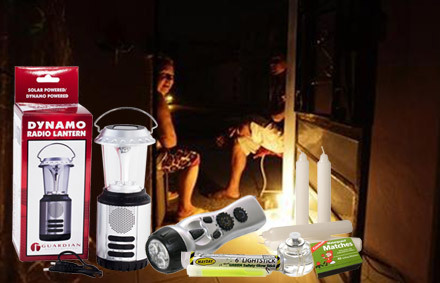 We have everything you may need to equip yourself for the winter season and the severe weather it might bring with it – from simple ponchos and cold medicine, to flashlights and candles for power outages, and even emergency food and water as well as search and rescue kits for the more devastating natural disasters that leave people stranded. Make your own personal disaster preparedness checklist with everything from food and water to sleeping gear and a change of clothes - remember any special needs such as medications, baby or pet supplies, and feminine hygiene. Our needs continue even when our normal resources draw to an abrupt halt. Start building your Winter preparedness stockpile now so you’re ready for the upcoming season... We’ve got what you need in an event of severe weather here! Are you Ready? While the winter weather danger varies across the country, nearly all Americans, regardless of where they live, are likely to face some type of severe winter weather. Many winter storms - whether cold / freezing rain, sleet, ice, or snow - are accompanied by dangerously low temperatures. Be safe this winter by having helpful winter supplies ready. We’ve got what you need in an event of severe weather here! We have everything you may need to equip yourself for the winter season, avoiding cold stress and cold injuries, as well as the severe weather this winter season may bring with it – from simple ponchos and cold medicine, to flashlights and candles for power outages, and even emergency food and water as well as search and rescue kits for the more devastating natural disasters that leave people stranded. Start building your Winter preparedness stockpile now so you’re ready for the upcoming season... We’ve got what you need in an event of severe weather here! What is the difference between El Niño & La Niña? El Niño is the warm water around the equator. This warm water is what causes storms in the Pacific. La Niña is a cooling of the equatorial eastern and central Pacific Ocean. When sea-surface temperatures are cooler than average and stronger eastern trade winds. La Niña winters are warmer than normal in the Southeast and colder (and wetter) than normal in the Northwest. La Niña & El Niño are not the storms themselves, but rather the underlying equatorial issues that lead to certain types of storms and weather patterns.